The Handbook of Organic Analytical Reagents, 2nd Edition, is an indispensable source book of physico-chemical properties, preparation, and analytical applications of the most commonly used organic reagents. Updated from the 1st Edition, this volume includes data on 40 new reagents (such as ultra-high sensitive azo dyes, fluorescent calcium indicators, and chromogenic crown ethers and porphyrin reagents), a new Reagent Index listing reagents according to the elements to be assayed, and completely updated references. Each entry contains information on synonyms, sources and methods of synthesis, analytical applications, complexation reactions and the properties of complexes, purification and purity of the reagent, and other regeants with a related structure. 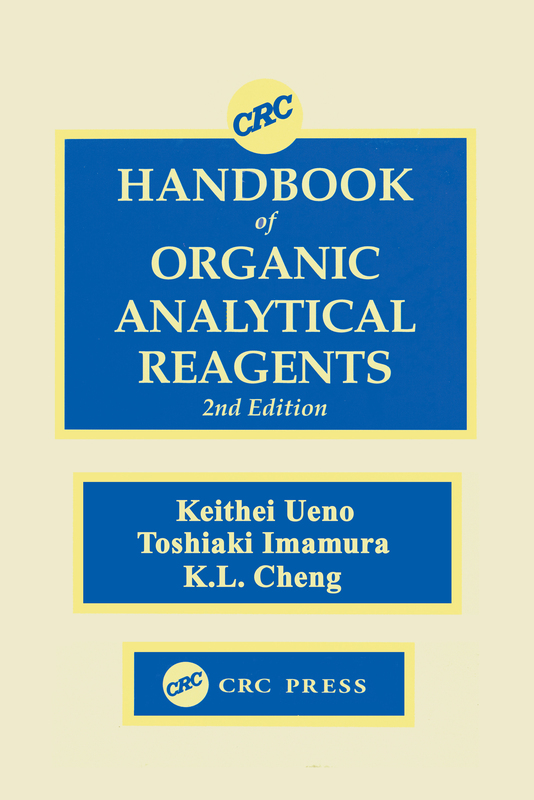 The Handbook of Organic Analytical Reagents, 2nd Edition, is an invaluable bench-side reference for professional analytical chemists and graduate students.